China is a significant market for ACA members and one where significant investment is already directed. 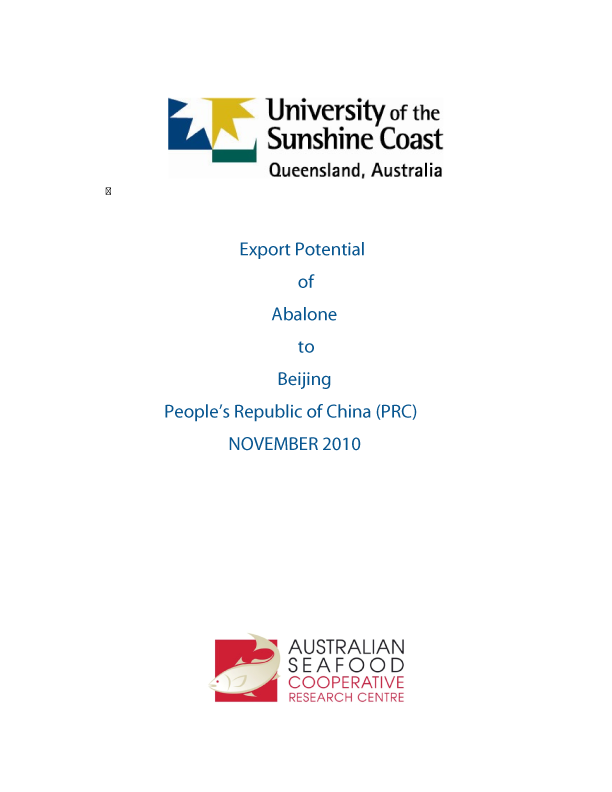 China is a rapidly growing and rapidly changing market providing many challenges to ACA members wishing to develop sustainable business relationships as traditional supply chains to China are changing providing opportunities for Australian abalone product to enter Beijing direct being positioned as a premium quality product. Consequently there is a need to develop both a research capacity and an industry skill base to enable the rapidly emerging opportunities for ACA exports to China. This project undertook a China research field trip involving industry and students, and the research Leader Dr Joanne Freeman. The market research field trip was complemented by a formal education framework to enable both a commercial and academic perspective to be taken. The team as a whole gained a greater awareness of the role and significance of the Chinese seafood industry and how this awareness relates to opportunities for ACA members. The market research field trip provided industry participants and research students with the ability to compare and contrast markets (Australia and China) and to prepare actionable interpretive reports based on research findings. This project also provided the opportunity for students to link with industry as a way of creating more "industry-ready" graduates.